HL-4GMV is a GPON ONT that acts as GPON Home Gateway Unit and is designed to provide affordable access to FTTH networks. 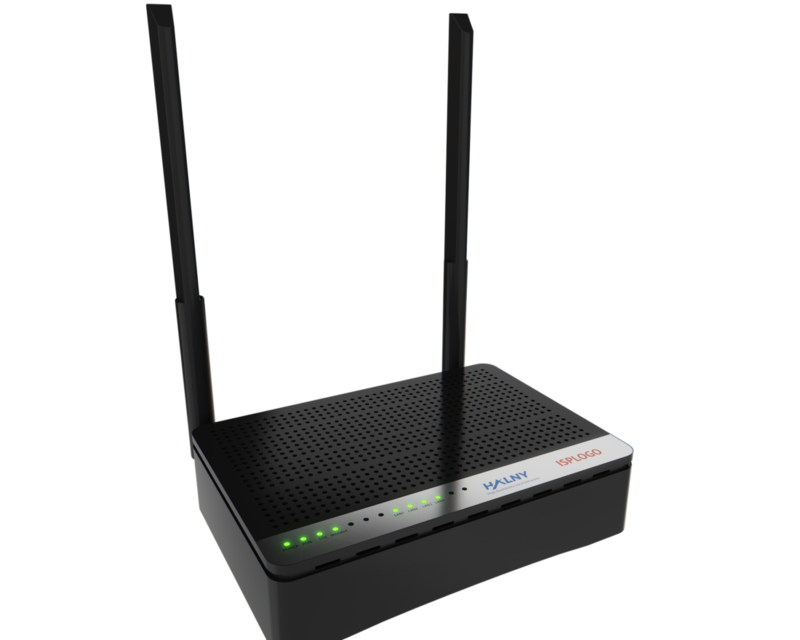 The products use a single fiber to connect individual houses and businesses to the network for broadband services up to gigabit speeds. All products within the GPON family comply with current ITU-T standards for gigabit passive optical networks (GPONs). The solution is designed to optimize the deployment and roll-out of the service provider. HL-4GMV design guarantees multi-interoperability with number of OLT vendors. 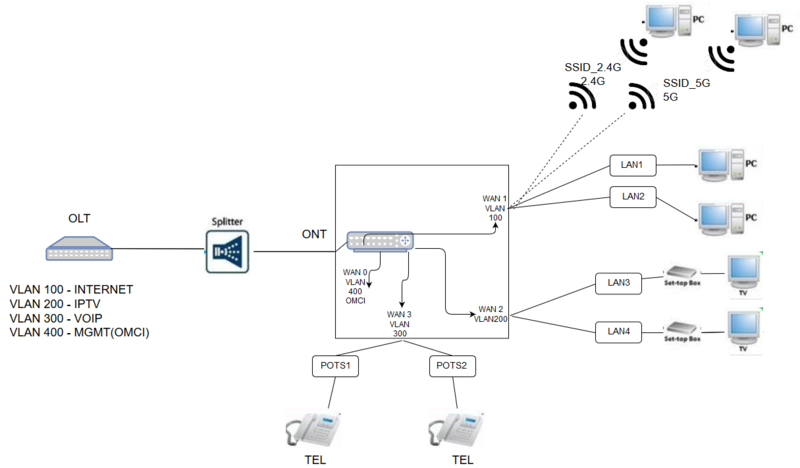 The ONT/ONU products are tested and have proven interoperability with most major GPON OLT Vendors. HALNy HL-4GMV provides one GPON port, four Gigabit Ethernet ports, Dual-Band (2.4G and 5G) Wireless interface with two external antennas and two Voice FXS ports. This gives possibility to support full triple play services for high speed Internet access, IPTV and voice. The flexible product design enables a variety of product features and available interfaces. All units have Layer 3 and Layer 2 support. 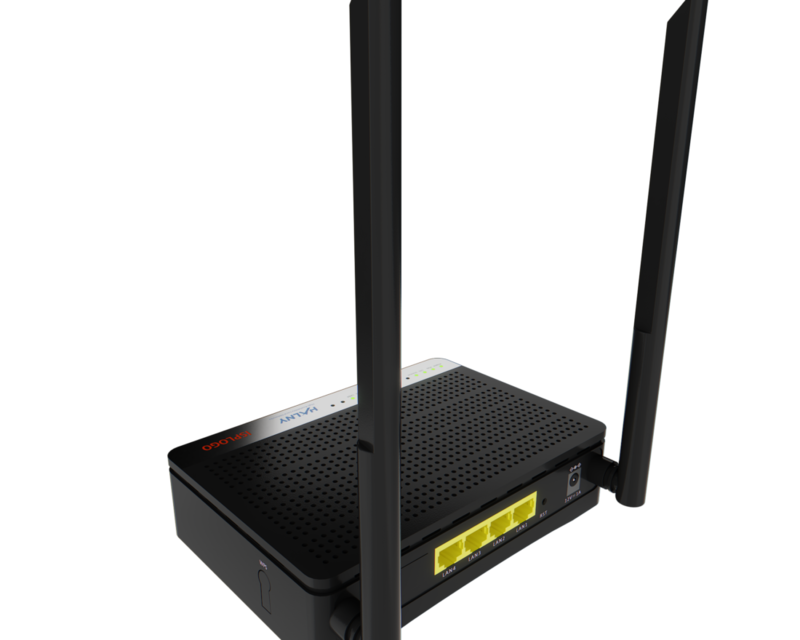 The network interface is compliant to ITU-T G.984.5 to provide 2.5 Gb/s downstream and 1.25 Gb/s upstream. 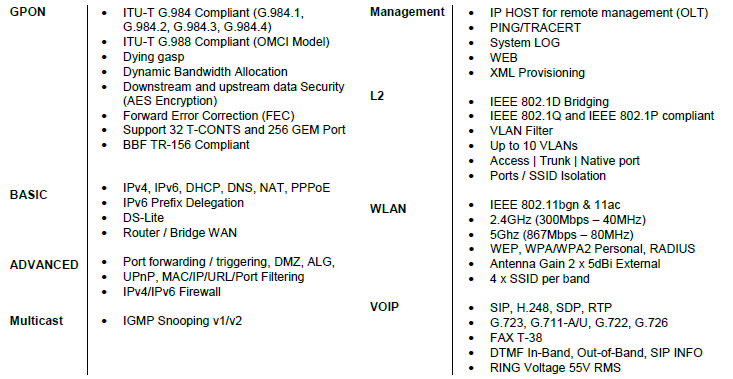 LAN interface allow to provide Gigabit service. Quoted network speeds and bandwidth based on current IEEE specifications. Actual performance may be affected by network and service provider factors, interface type, and other conditions.